As one might expect, The Best Car in the World doesn't change every year-and its basic front-end styling is much the same as it was in 1962. Its patrician radiator shell is still the symbol of automotive perfection, and ownership the acme of prestige imagery. Although the appearance of the Silver Shadow hasn't altered since the model was introduced in 1965, countless detail improvements have been incorporated. The Shadow is the first Rolls-Royce to use a unitary body/chassis, and its light-alloy 6.3-litre V8 engine is coupled to a three-speed/torque-converter automatic gearbox. 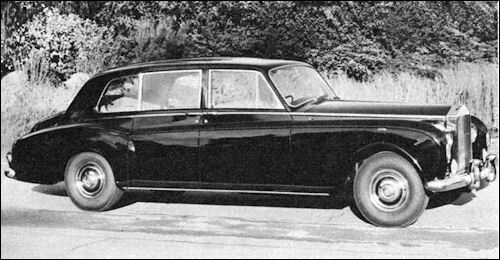 Whereas the Silver Shadow is nowadays regarded as the owner-driver Rolls, the Phantom is the traditional town carriage, almost invariably chauffeur-driven. The model also carries a proud name first instituted by the Company in 1925. With a wheelbase of 12ft., the Phantom VI is 1ft. 8½-in. 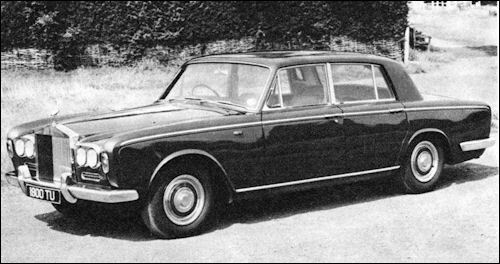 longer than the long wheelbase Silver Shadow, and accommodates really spacious coachwork with folding occasional seats. The 19ft. 10in. 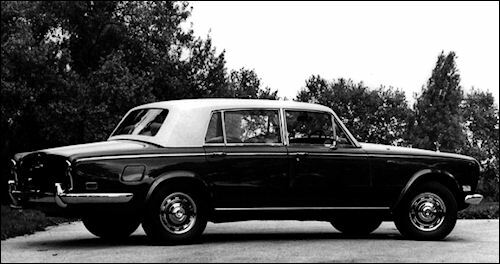 limousine is powered by an identical 6.3-litre light-alloy V8 to the 'Shadow', and similarly has automatic transmission as standard.